Justine spotted the beautiful lamp (Gice) and chair (Moon) from The Dutch Standard while running around Milan. 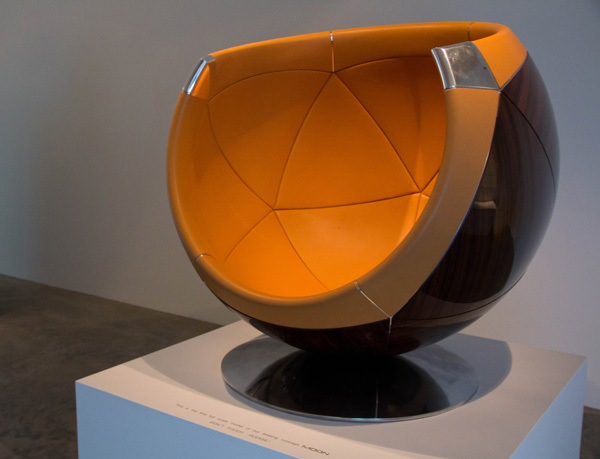 Mesmerizingly sci-fi, these reflective, woody spheres can’t help but draw you in… take a peek at the next page to see how the Gice light and Moon chair look! MOON Moon, purity, perfect engineering… ultimate luxury. A love seat, spacious yet wrapped comfortably around you. The finest of fabrics and leathers combined with the precious Macassar Ebony shell. A semi custom product meeting the various demands that clients pursue to fulfill their ideal balance withint her luxury homes or projects. 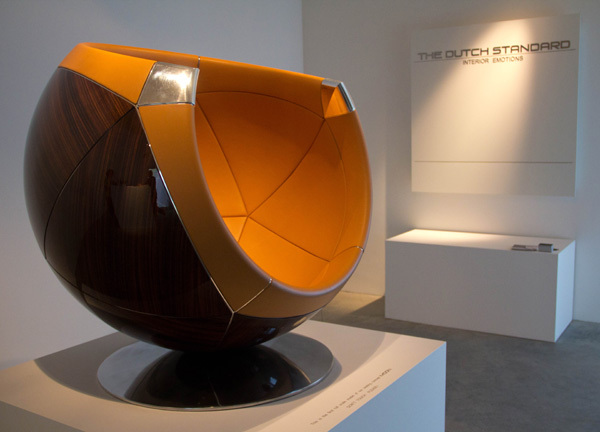 Customizing can include alternative upholstery, fabrics or leathers. For Moon’s base, noble metal finishes like nickel, gold and palladium are available. 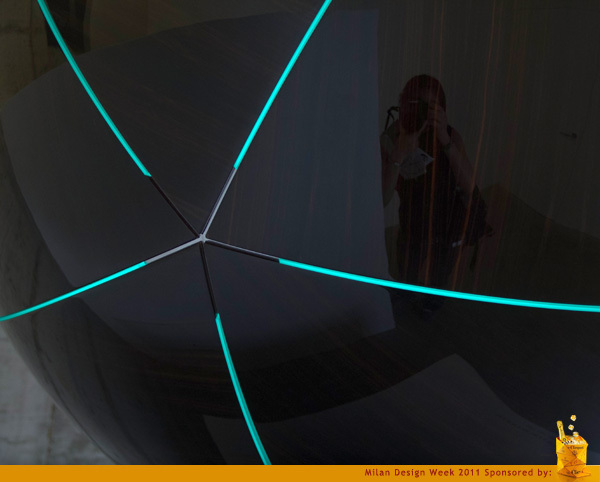 (dimensions: 120 cm / 47.2” across, total height 116 cm / 45.7”). 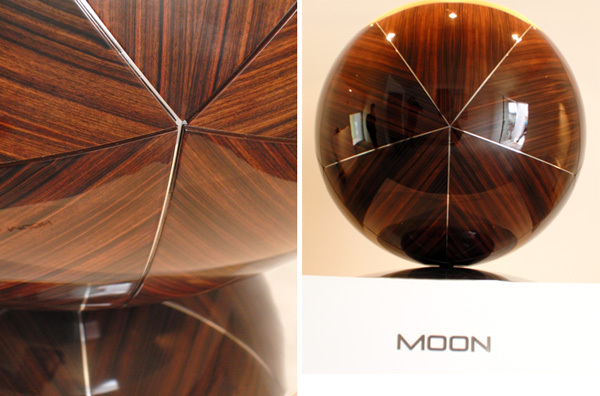 MOON shown during the Milan Design Week: High gloss finished Macassar Ebony shell, - cognac calf leather ‒ polished aluminum. 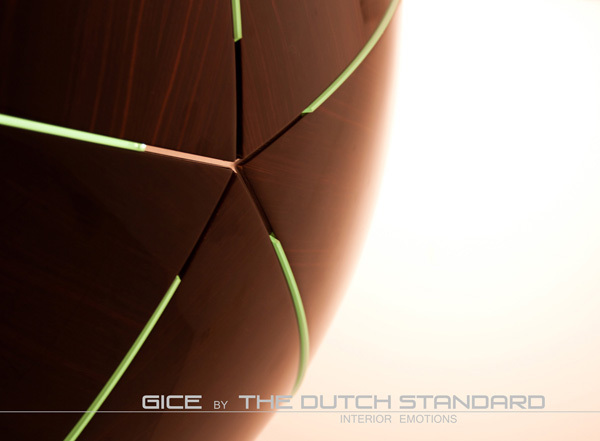 GICE Gice, the first of a new series of products all base don our philosophy: “From a cubic way of thinking into a spherical one”. 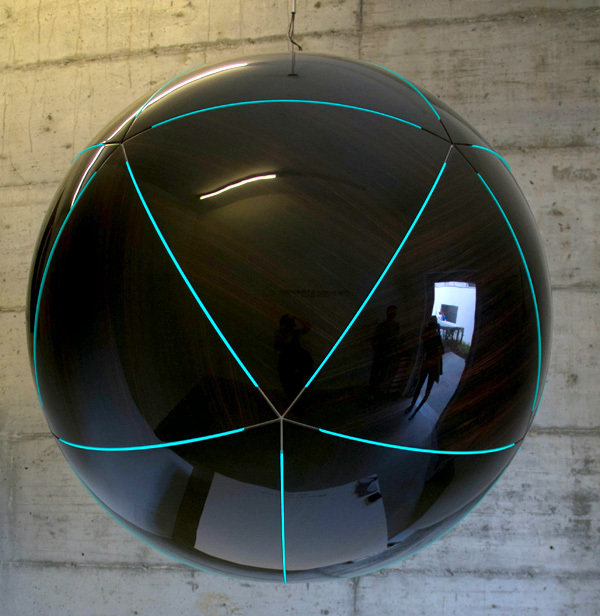 A light sculpture, a sphere divided into twenty precise indentical parts, executed in the hardest of hard woods, the precious Macassar Ebony. 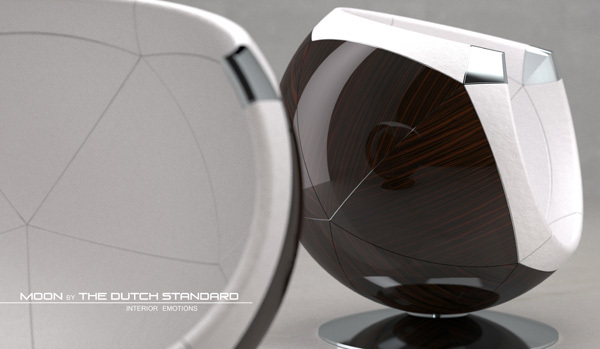 A double curved wooden design that was impossible to produce before with this precision, finished with a crystal clear high gloss quality lacquer magnifying the wood’s true beauty. 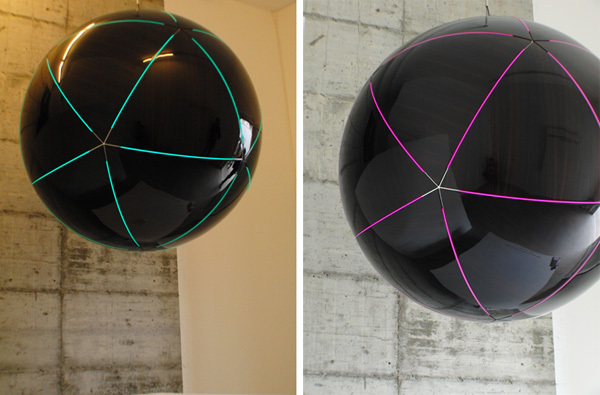 Its radiating light source is dimmible and is rgb, dmx-controlled (dimensions: 120 cm /47.2” across, weight 48 kg/106 lbs).